Sometimes the beginning of the day is the most creative time for me. 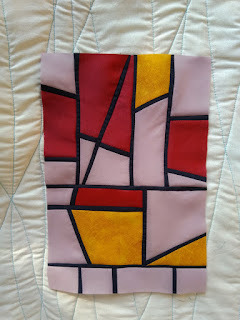 That morning when drinking coffee I realized that sewing stained glass window patchwork would be sew easy using new technique if insert a dark strip after rearranging the parts. 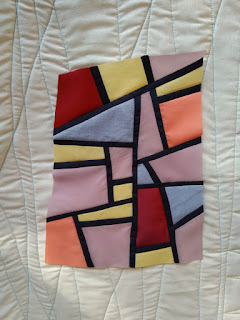 Do you remember my improvisational method of piecing from last post? I have added a 3/4 inches stripe. And voila. Now the strip is half inch. No need to stitch it with perfect quarter inch seam allowance. 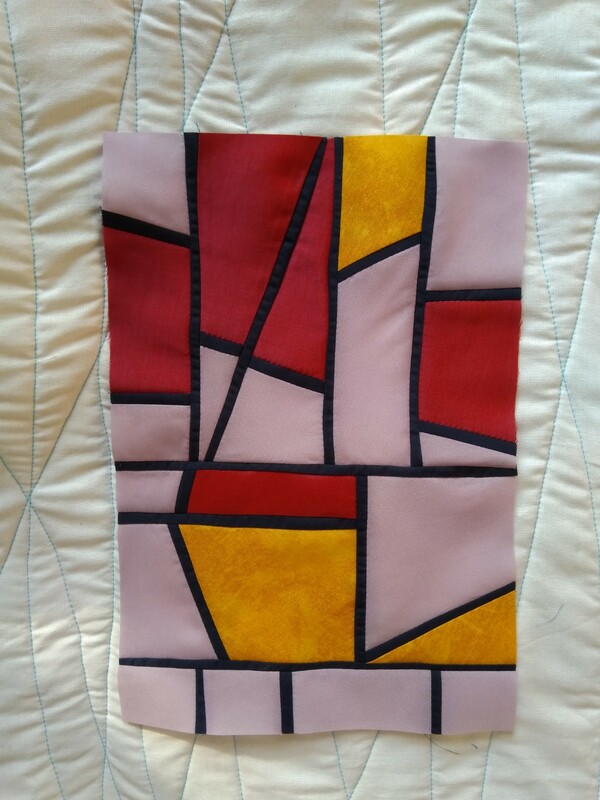 It looks more naturally and vivid as a real stained glass window.